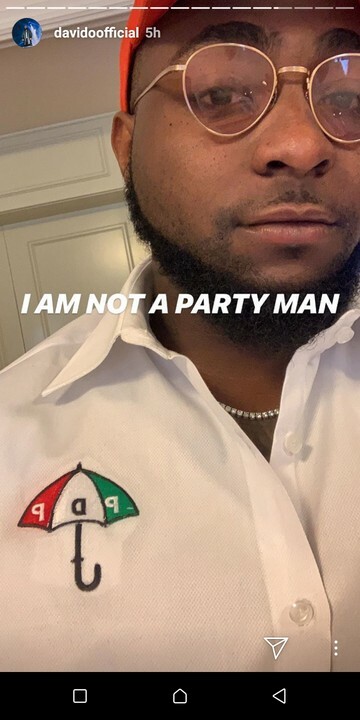 Nigerian singer, David Adeleke, Davido, took to his instastory to say he is not a party man. 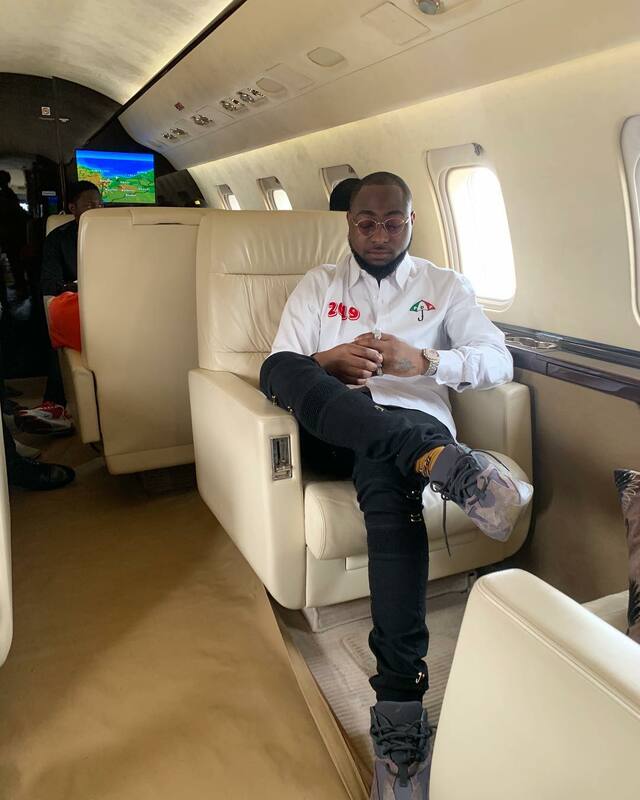 Davido made this statement on his private, while he was on his way to Enugu for PDP mega rally. 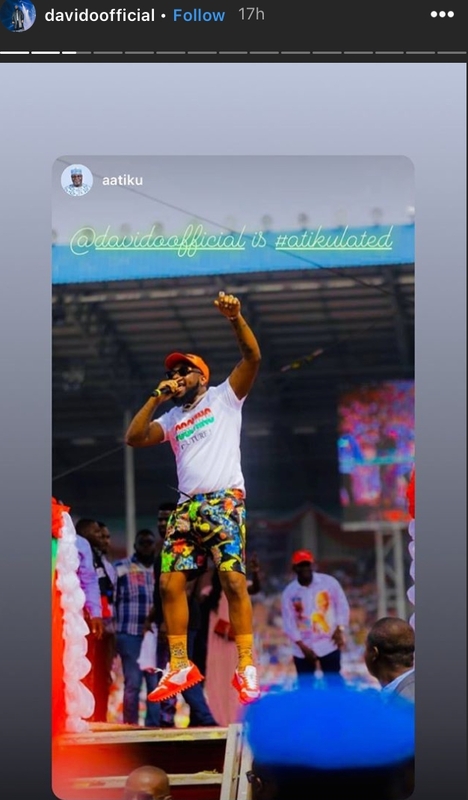 The singer was also rocking a customized PDP shirt. 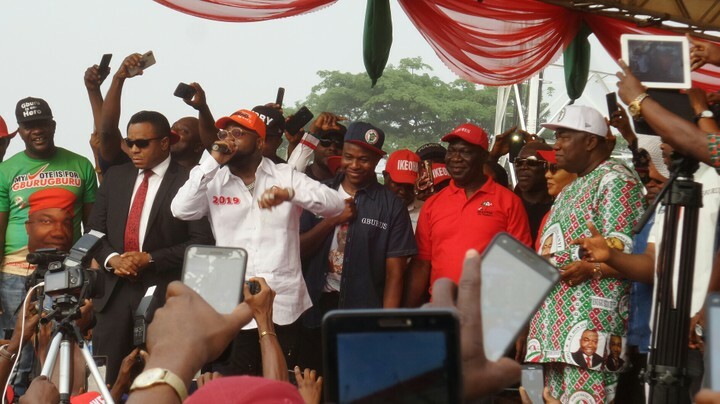 Davido made this same statement few days ago on his twitter page. 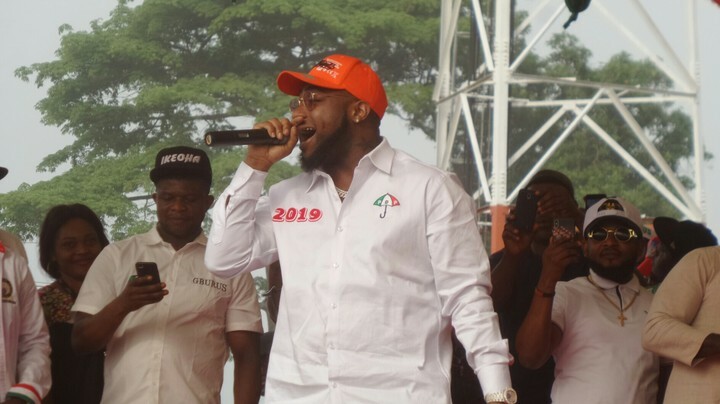 Davido, who revealed that he might run for governor of Osun state, is certainly not in support of the re-election of President Buhari, as he expressed his displeasure at the enthusiasm many people are showing towards re-electing President Buhari. 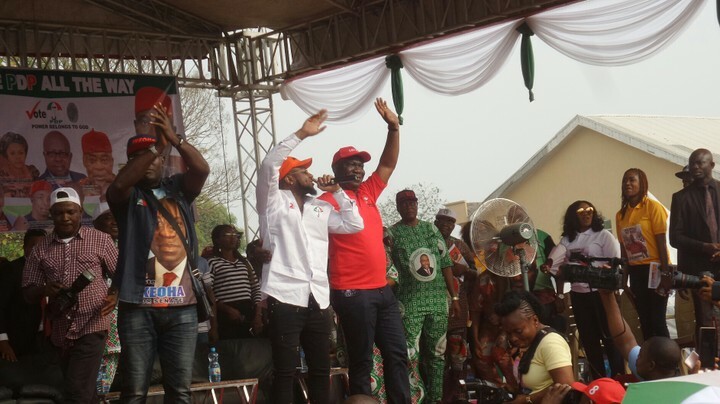 The DMW boss also disclosed that he has been getting a lot of threats over his political ambition. 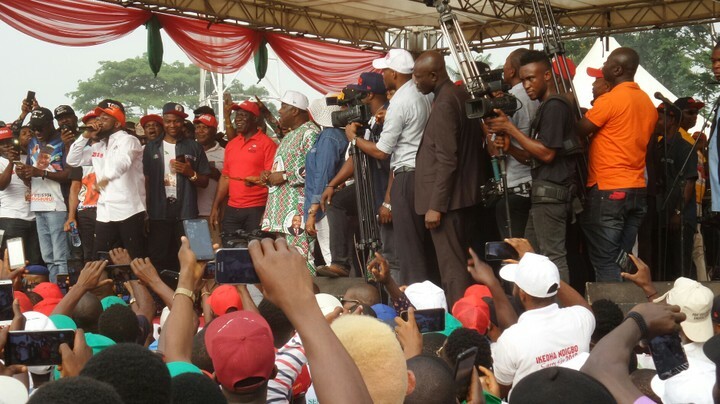 But he said he is still gallant and always ready to take the bull by the horn for those threatening him. 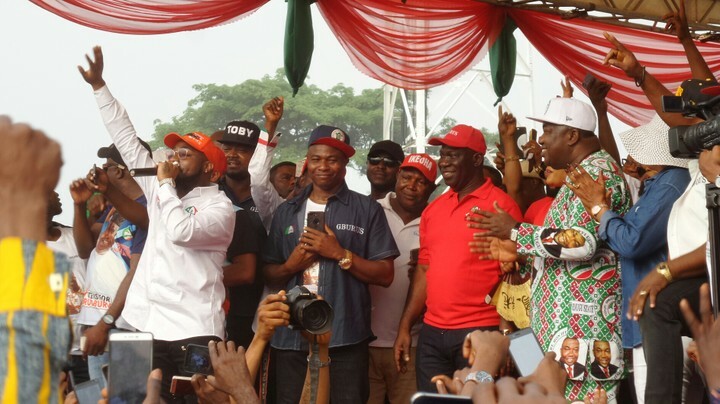 See more photos from PDP Enugu campaign mega rally below.